The choice of wood is an extremely important part of furniture making. And it's more than just which wood species to use (although that’s also a very important consideration); it's how the characteristics of each piece of wood relate to, and affect, the overall aesthetics of the piece of furniture. When I choose wood to use in a piece of furniture, I consider the characteristics of each piece of wood, such as appearance, color, grain orientation, grain pattern, figure, and intended use. For example, I use straight-grained rift or quarter sawn wood for door rails and stiles because it is dimensionally stable, and the consistent grain can help to emphasize a door panel that may have more interesting grain patterns. 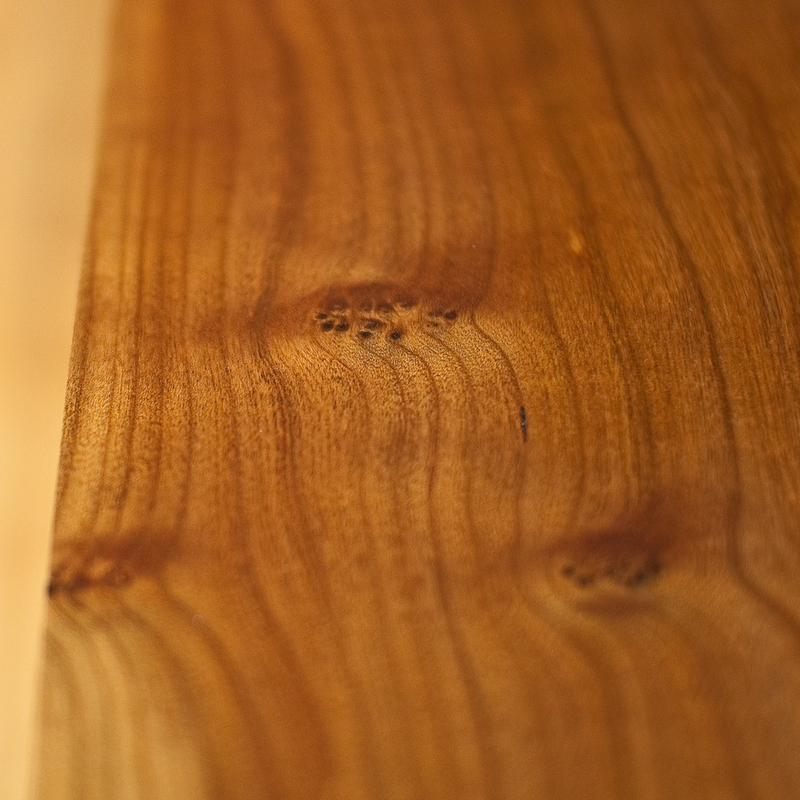 As much as possible, I try to use wood from the same tree, which gives more consistent color and grain patterns. To get material from the same tree, I purchase sawn logs from small, local sawyers who get their material from local forests.